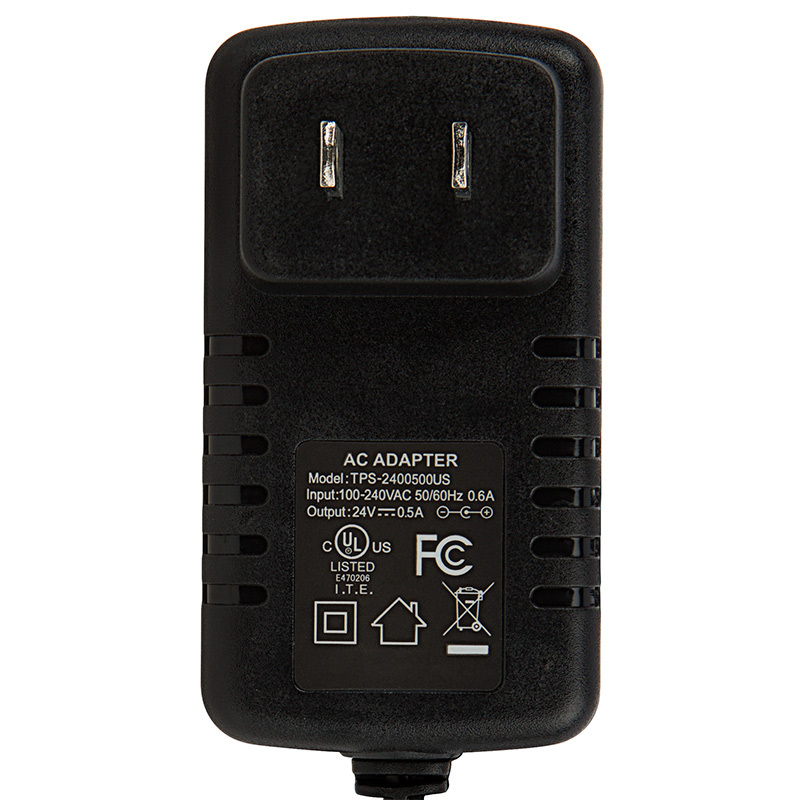 24 VDC Wall-Mounted Power Supply. 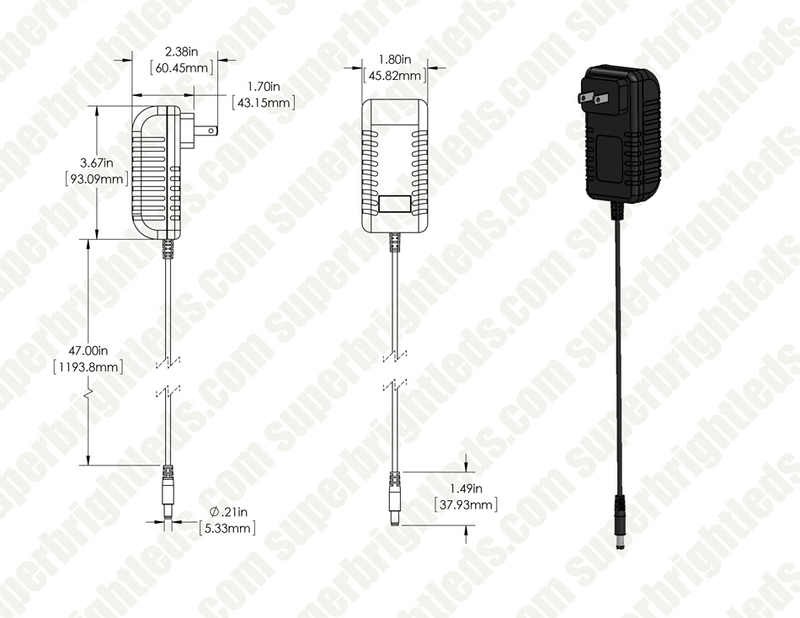 Input: 100~240 VAC, output: 24 VDC. AC in and DC out cables. 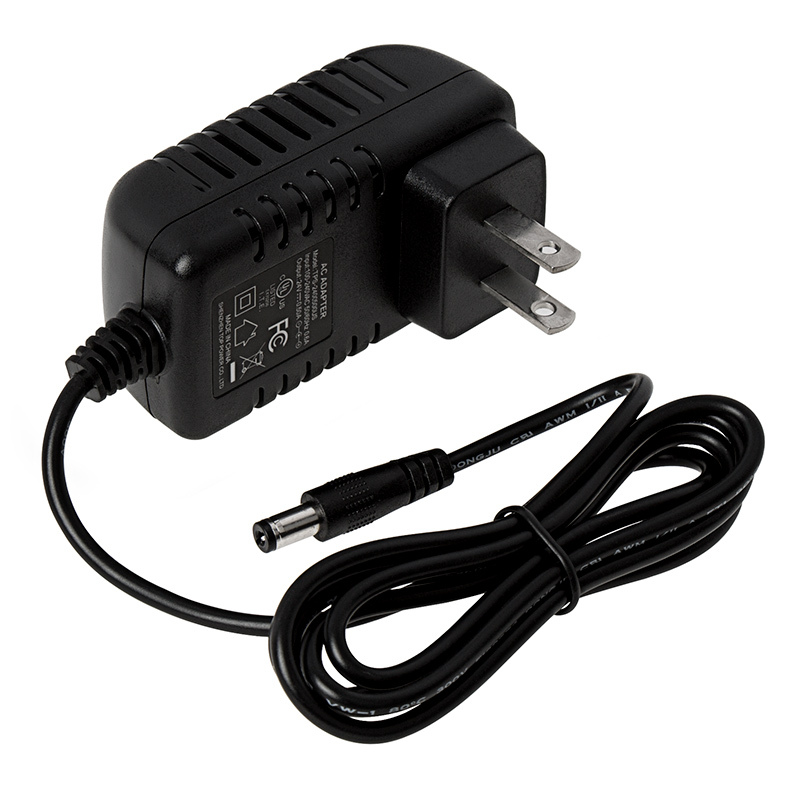 DC jack is standard 5.5mm barrel CPS connector. Available in 12, 18, 24, and 36 watts. UL-Listed. A 60-watt desktop version is also available. Price for each. This power supply/adapter works as intended. I haven't had any problems with it. 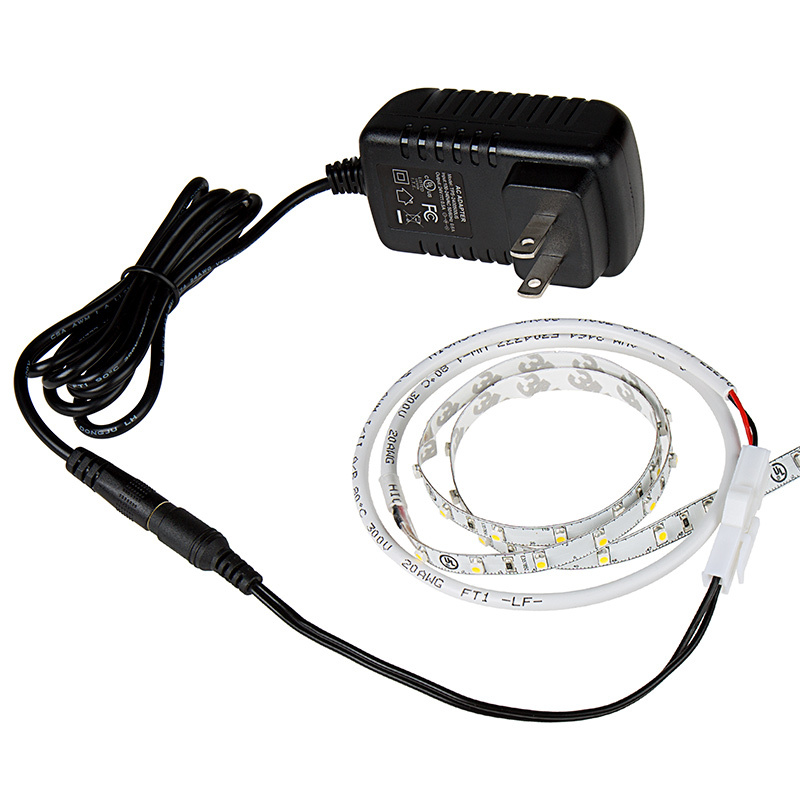 as advertised, i decided to go with 24 volt led strips to use this with and i wanted the most available power in the 24 volt 36 watt, even though i only need the 18 watt version, i am a stage musician and converted their strip to a powerful music lamp and the 24 volt with higher wattage will prevent power drops on stage with the available electrical outlets on stage etc. Work great as it was designed.